The Michelin Pilot Sport Cup 2 is Ultra High Performance Sport tire designed to provide faster circuit times and consistent performance lap after lap and allows supercars to achieve their full potential in dry conditions. 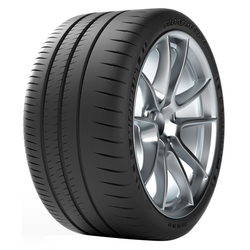 <p>With Michelin's Bi-Compound Technology that features two tread compounds: an endurance racing compound in the outside of the tread for exceptional traction, and a rigid elastomer in the inside for precise handling. <p>Track Longevity Technology 2. 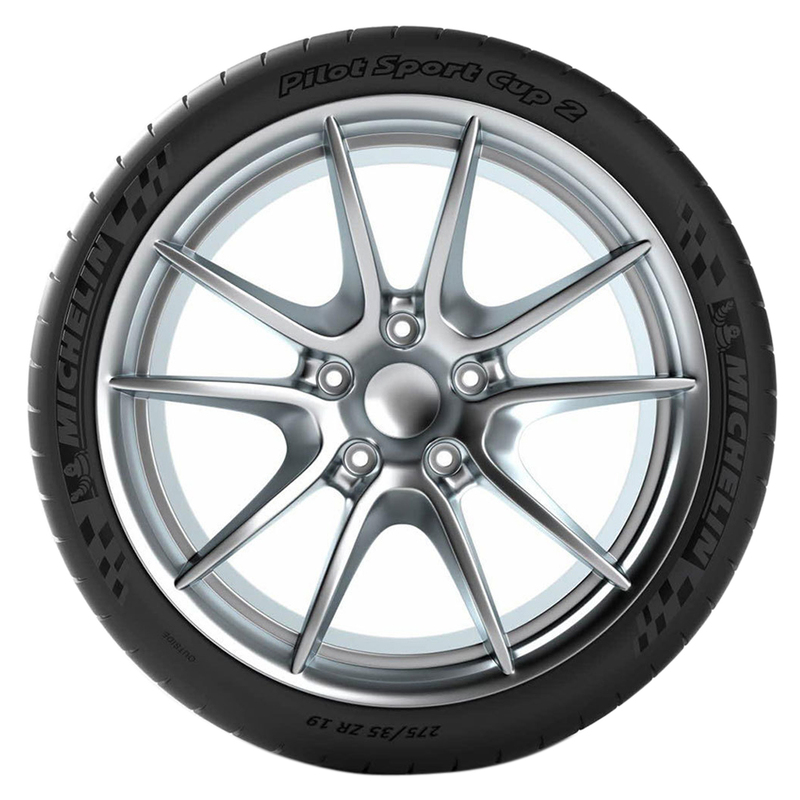 <p>0 with the combination of Variable Contact Patch 2. <p>0 (optimized contact patch for more rubber-to-track contact) and a race-ready reinforced shoulder gives you 50% more laps at the track. <p>Its internal construction has dual steel belts wrapped in Twaron cord which promotes handling and durability. 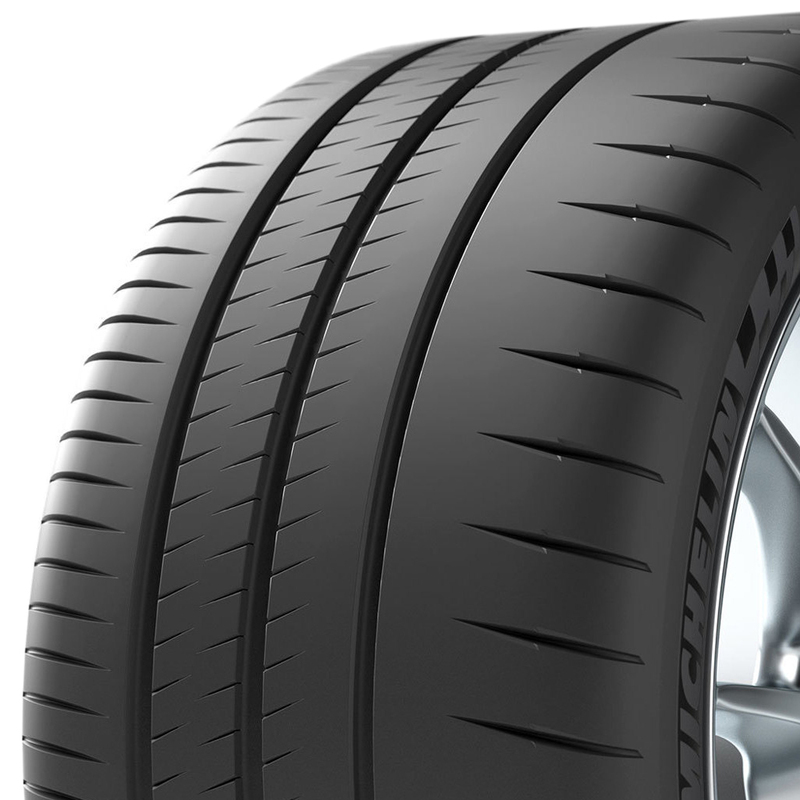 <p>FAZ Technology provides high-speed stability. <p>Premium sidewall design features a dark velvet finish.